It's a long way from Wilmington, NC to Miami Beach. Wonder why he posted there? 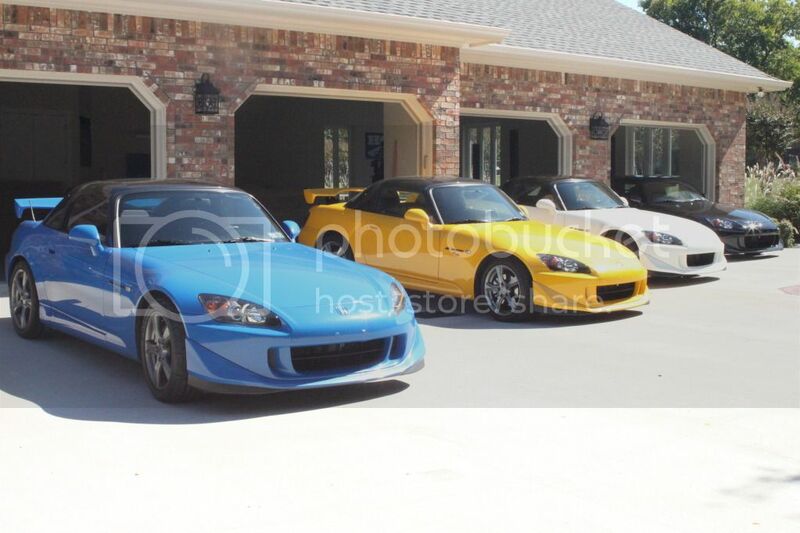 It's far from the lowest mileage S2000 in the country, but a nice car none the less. Far from the lowest? Really? Hey VP, you ever drive it? Four of the reasons why. I gotta ask, why? Do you figure you can sell them all as a box set one day or...? I'll keep them looking nice, enjoy driving them and someday someone else may appreciate the fact they were well kept. I've been fortunate to buy others well kept cars through the years, kept some and sold some. Started this "hobby" when i was fourteen when i bought a 1930 Model A coupe for $300, all original/complete that was being daily driven by the original owner. I'm done with my S2000 CR collecting, time to move onto my next automotive project. It's all good, VP. It's great that you can. I was just curious. One of the nice things about this life is we get to choose on these things. Nice, and by that I mean, finally! Thanks for sharing that VP. Cool to see them all together like that. Nice garage btw and by that I mean the building and the cars. Freaking sweet VP!! What other cars do you have?? Nice garage btw and by that I mean the building and the cars. How do you choose which your gonna drive that day? Match the color of your underwear? that is cool to see them all together...and they all have names. Since you are done with this project, what's next? So...which color is the fastest?? The delete CR's, Rio and GPW are the fastest. As far as the next automobile, I haven't decided yet. Might be a vintage race car, might even be Honda powered, but that is down the road. They only made 8 GPW deletes. Nice find VP! What a conundrum that would be, trying to decide which one to drive today, and of course the ones that didn't get driven would br jealous!! I'm glad you use a conundrum. These days you can't be too careful! so you finally found your white cr delete, you gotta share the story VP 'cause i know you were looking for that for a LONG time. Last edited by LTWU; 10-15-2012 at 10:20 PM. You have the second lowest production CR, that's a find right there! Not going after a BB CR delete?? Last edited by LTWU; 10-16-2012 at 01:53 PM. Check Engine Light coming on around 15k miles, fix inside!! !